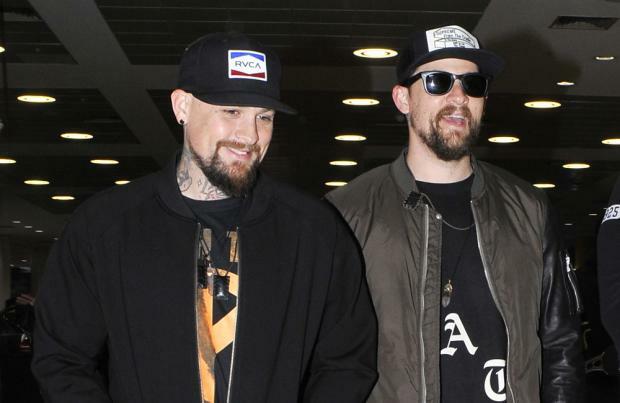 Joel and Benji Madden won't do Good Charlotte once they are in their forties. The 37-year-old twin brothers have admitted they don't see themselves continuing the punk rock group - also comprised of Paul Thomas, Billy Martin and Dean Butterworth - once they officially become middle-aged because they'd like to go out "happy" and on their own terms. Bassist Benji said: "It was important for us to go out on our terms and it was really the whole point of this record and the next record. We are 37, I can't see us doing Good Charlotte much passed 40. To be able to die happy and go I did it my way." And frontman Joel admits he only envisages the band doing a few more tours before calling it a day. He said: "It has been really fun, but the special part for me is we are probably only going to do a few more tours and that is it." The Madden brothers - who have their own label and management company MDDN Records - feel like their forthcoming LP 'Youth Authority' has brought them "full circle". Meanwhile, Joel - who is married to Nicole Richie, with whom he has daughter Harlow, eight, and son Sparrow, six- never imagined they would release another record after 2010's 'Cardiology'. Benji told Yahoo! Music: "I feel like 'Youth Authority' is almost like we are back to the self-titled album. It's like the beginning of a whole new chapter. It's a full circle. Now in 2016 we are completely independent, we have our own label and management company. We took a break from Good Charlotte after 'Cardiology' and Joel actually said he didn't know if he wanted to make another Good Charlotte record."